All classes are full for the 2019/2020 school year. We are still taking names for our waitlist. 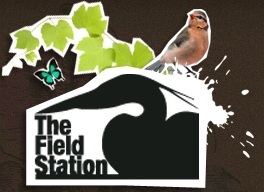 If you are interested in having your child added to our list, or if you have any questions regarding registration, please contact registration@fieldstationkids.org. For enrollment in the 2 day program your child must be 3 years old by August 1st. The two day class focuses on acclimating children to the classroom experience with hands-on activities, daily outdoor hikes, song, dance, and fun! Enrollment information can be accessed here. For enrollment in the 3 day program your child must be 4 years old by August 1st. The three day class focuses on kindergarten preparation, cooperation, listening skills, and like our two day class, daily outdoor hikes, song, dance, and fun! An introductory unit that sets the stage for a year of exploration and investigation. This unit stresses using the five senses to enhance observation skills. While investigating the plant and animal life from beach to woodland dune and inter-dunal wetlands, the children build an understanding of what a habitat is and what it must provide. Field trips are taken to the Indiana Dunes lakeshore/blowouts/woodland dune areas. A look at birds and mammals that are active in our forests during the night. We discuss how these creatures fill a particular niche in the environment and compare and contrast their lifestyles. There is a night hike during this unit which includes students, parents and families. An imaginary tour of Native American cultures around our country, emphasizing how all lived in harmony with Nature. The unit shows how each group had a lifestyle that was adapted to be in tune with its environment and to respect the gifts of Nature but not overuse them. There is a Pow Wow as a culminating activity. Families are invited to share music, dance, view displayed artwork, and try related food prepared by the children. There is a field trip to the Indiana Dunes National Lakeshore Bailly Homestead. An investigation of habitats under the sea, with a look at the abundance of life that exists there. The unit also includes learning about salt water and ocean currents. There is an emphasis of the role that oceans play in life on our planet and the need to learn how to better care for our seas and the life in them. Discovering the incredible diversity of life in our world’s rain forests. Learning why it is important to preserve both the plant and animal life in the rain forest and instilling in the students the idea that, even given the current rate of destruction, they can make a difference. Exploring our local wetlands to better understand the plants and animals that exist in this habitat through hands-on experiences and observations. A main goal of this unit is to develop an understanding of the ways in which wetlands help us. There is a Frog Walk, led by the National Lakeshore interpretive staff, at which parents are included. A visit to the grasslands of Africa to learn about the animals and birds that inhabit this region. This unit looks at how uniquely suited these creatures are to this fragile environment and how their existence is threatened by human encroachment. A look at the polar regions of our planet and the plants and animals that live in this harsh environment with a special emphasis on how animals have adapted to succeed. Investigating Earth’s birds: learning what makes a bird a bird. Developing an appreciation of the role of birds on our planet and the importance of birds as indicators of a healthy environment. An exploration into the world of insects. Goals of this unit include building positive attitudes toward insects and developing an interest in insect life cycles and behavior. Habitats, camouflage and social behavior are a few of the topics covered while observing insects.